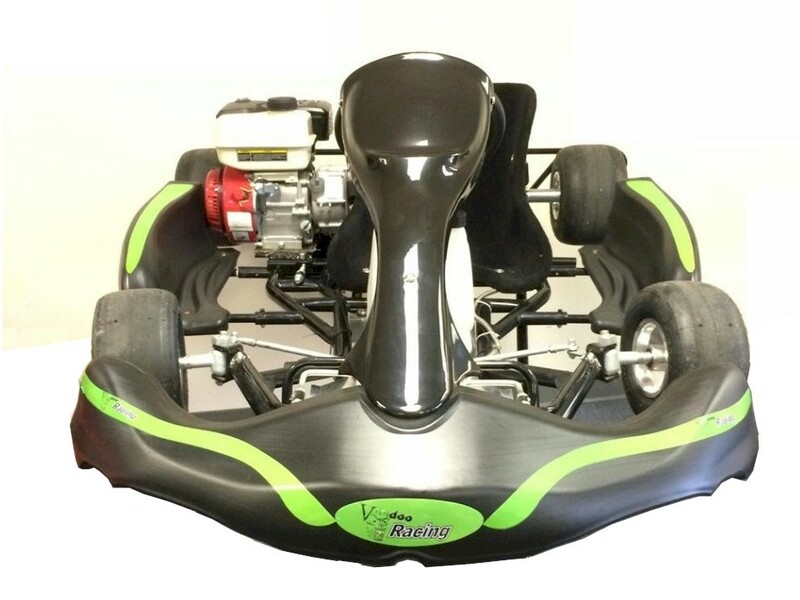 The Voodoo VR1 Kart is track ready, just add gas and oil. Comes with a Lifan 196cc 6.5hp lots of fun, Ever since the beginning, this is our most popular model, year after year. Thousands of of these karts have been sold and can be used on both paved and dirt tracks. This model is perfect for racing in the WKA and AKRA clone class that many tracks have started running over the last several years. Weather your racing or just want to have a little fun, this kart is an excellent choice. No need to spend $4-$5,000 to get started!! Shipping Dimensions: 59" x 43" x 20"